Cersonsky, Rosen & Garcia, P.C. has been recognized by client JPMorgan Chase & Co. for its commitment to promoting and maintaining a culture of diversity and inclusion in the legal profession when it was named as the small firm recipient of the 2015 JPMorgan Chase & Co.’s Joan Guggenheimer Outside Counsel Diversity Champion Award. The award was presented to CRG by Ms. Stacey Friedman, Chase General Counsel on January 13, 2016 at JPMorgan Chase’s Global Legal Town Hall in New York. 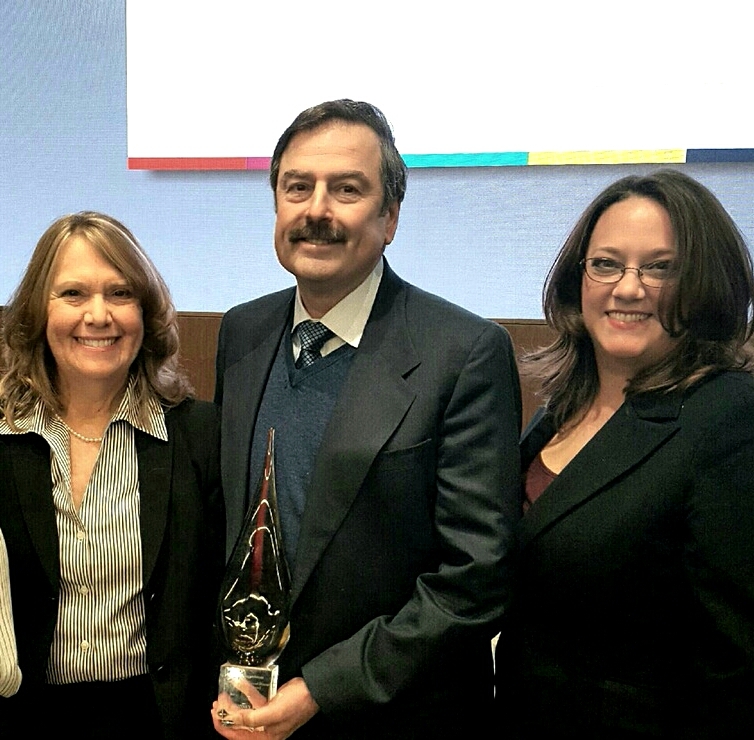 Accepting the award on behalf of the firm was M. H. “Butch” Cersonsky, Rachel Rodriguez Rosen and Marianne G. Robak. JPMorgan Chase Bank & Co. acknowledged Cersonsky, Rosen & García, stating: The firm has successfully represented JPMorgan Chase in a number of matters. The firm’s commitment to diversity is evident from both its strong leadership as well as the support provided to its associates to participate in diversity programs and be involved with community engagement. The selection committee was impressed by the feedback from Legal colleagues about the firm’s work quality and results. JPMorgan Chase has been a client of the firm for more than twenty years in various business and banking matters. CRG is honored to have received this award from such a valued client. CRG is certified as a Historically Underutilized Business (HUB) by the State of Texas because it is a minority owned firm.